Who is the Real Terrorist? This article by Gordon Duff, a Marine Vietnam veteran, former UN Diplomat, defense contractor and a widely published expert , testify our claims that most of the terrorist attacks inside Pakistan, including the one on GHQ are carried out by CIA’s operational agency Blackwater/Xe Services. This must read article is self-explanatory. REAL TERRORISTS ARE RARE AND USUALLY EASILY CAUGHT. ALWAYS ASK: “WHO GAINS FROM THIS? Every time there is a terrorist attack, the nations blamed say that it was a “false flag” operation. This is what America did to cover up My Lai. We were lying. Germans claimed Poland invaded Germany in 1939. An educated guess is that 75% of terrorist attacks we hear of were staged, never happened or were done by “radical groups” that were first infiltrated, then controlled and eventually financed and supplied by intelligence agencies. Intelligence agencies are, in actuality, the biggest terrorist organizations in the world. The CIA has blown up more buses, airplanes and markets than any almost anyone else. The Mossad may be number one, followed by, well, everyone, the RAW, ISI, MI-6, IRA and dozens of others. Either directly or through idiots, clones (operatives using false identity to look like “terrorists”) or through simply doing it themselves, these groups promote national policy by destabilizing nations, swinging elections or defaming religious, national or political groups by staging attacks and using the press to place the blame. The popular video game Call of Duty Modern Warfare 2 even has a terrorist attack on a transportation center in Moscow built into it, a “false flag” attack. Today, the real thing happened. “University students? … Infiltrate them with agents provocateurs … and let the agents provocateurs devastate shops, set fire to cars and put cities to the sword for ten days. When the Italian parliament investigated, a number of allegations arose. It seemed that one of the Gladio operations was a train bombing in Bologna in 1980 which killed 85 people. This was supported by both physical evidence and significant testimony. It was also discovered that “Palestinian terrorists” operating in Europe including Abu Nidal were working for the CIA and Mossad. Investigations by the Italian parliament reported the following about Stefano delle Ciaie. We now use terms like “Low Intensity Conflict” and “Surrogacy Warfare” to describe terrorism operated by governments against either foreign governments or, more often, their own people. Most “false flag” attacks are used to influence elections or to push through “Patriot Act” and “FISA” type legislation or to justify acts like the invasion of Iraq. Control of both the press and any potential investigation makes such operations a mainstream effort of national policy, so commonplace that those who work in intelligence or at the highest levels of law enforcement automatically write off major terrorism incidents as staged. In Vietnam, Operation Phoenix was terrorism, meant to kill civilian “communists” including doctors, nurses, teachers and even religious leaders. We ran similar programs in Central America for years, killing thousands, nuns, reporters, union leaders and moderate politicians we were afraid would eventually join with communists. It was a horrible embarrassment to the CIA that the “communist dictatorship” in Nicaragua was voted out of office in an open election they sponsored. We had been running death squads throughout that country from our bases on Honduras for years. Similar operations have been staged all over the world, from Chile to Korea to Indonesia, the Philippines and the United States. Half the bombings during the 60s and 70s were planned or influenced by “informants” or “agent provocateurs” as described by Cossiga. The massive infiltration of the militia movements of the 80s and 90s brings the Oklahoma City bombing into question. If a train or bus blows up in London, it is best to look at who is visiting, what political party is going to gain or what scandal needs to be pushed off the front page. In India, the Mumbai attacks, blamed on Pakistan, did nothing for Pakistan. Who gained? Israel gained as did India, gained massively. When a school is blown up in Pakistan and blamed on the Taliban, Pakistan doesn’t believe the Taliban had anything to do with it. When Iran is attacked from Balochistan, it knows nobody in Balochistan planned the attack. Yes, there are real terrorists, people without hope who are pushed to extremism through exploitation, often by religious fanatics or hucksters. For every Maddrassa in Pakistan, there is a church in the US, perhaps ten, advocating beliefs that can lead nowhere but to violence. Radicals within the United States have always been a serious problem. A good analytical tool is the simple public poll. It reveals how gullible a population is and how easy they would be to fool. The primary groundwork for terrorism is control of the press and the molding of public opinion. With foreign governments with highly suspect intelligence agencies infiltrating the press, as they have in the United States, there is little doubt that providing cover for “false flag” terrorism is in the cards. The basic rule is simply this, if terrorists suffer as a result of an attack, bring down massive retaliation, if new laws are passed or a public is aroused, then we are probably dealing with a “false flag” attack, not a genuine terrorist act. If a terror attack, such as the phony “Crotch Bombing” in Detroit are staged and individuals tied directly to security agencies make millions in profits overnight, you can be absolutely certain, no questions asked. Who benefits from today’s attack on Moscow? Who says we have no leaders? If we have the MIR Jaffars like Hussain Haqqani, Rehman Malik [read it Dakait] Zardari, Gilani , Asfandyar and Nawaz Shareef, we have Tipu Sultans also. Prior to attacking the patriotic tribal by Meerasi General Parvez Musharraf on the direction of the military and political leadership’s masters in Washington the people of Federally Administered Tribal Areas (FATA) were considered the protectors of the rest of Pakistan. Now they have “reportedly” picked up guns against the “state”. It’s not the story we are discussing here, however the Lawmakers from same FATA have showed up some self-respect in Washington, the things which we all have been desperately expecting from our government. Assembly, boarded a Kuwait Airways flight at Washington’s Dulles airport after the dispute. They had come to the United States on Feb 28 on a 15-day visit. On Saturday morning, they were scheduled to fly to New Orleans as part of their tour. 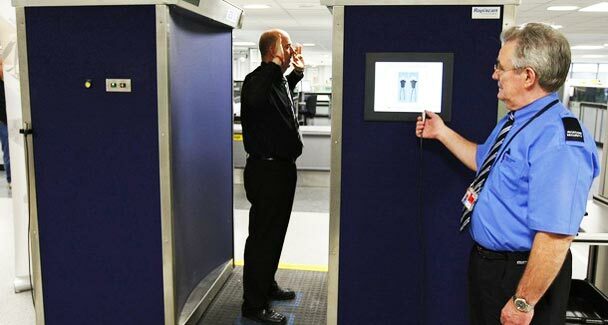 But when they arrived at the airport, two of them were marked for random checking, which included a body-scan. They refused to accept the demand, saying that they would rather go home than submit to the proposed scanning. 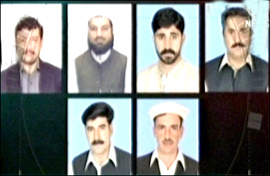 Senator Abbas Khan Afridi, a senior member of the delegation, later told journalists that other lawmakers backed their colleagues and told US officials that they too would go home if their colleagues were not exempted. US State Department officials, who were travelling with the delegation, took the lawmakers back to their hotel in Washington where Pakistan’s deputy chief of mission and other senior US officials joined them. Dawn reports that Pakistan’s Deputy Chief of Mission tried to persuade the lawmakers to change their minds, telling them that all passengers in the United States had to go through random checking. Mr Afridi said that the lawmakers considered the scanning order an insult to the parliamentarians of a sovereign country and decided to call off their visit. Some would term it point scoring and others would call it publicity stunt but to me it’s a demonstration of self-respect. To this day our governments, also include military leadership, have given out the message that we are the only nation on this earth with no word of sovereignty, dignity and self-respect in our dictionaries. The actions like this at least help us prove that we are state with people who care self-respect and that Pakistan is not a sold-out nation. Guys I am proud of you. And you need red carpet reception at Pakistani airport.